The Blue Mosque or Sultan Ahmed Mosque in Istanbul was completed in 1616 and has long served as inspiration for many Muslims and now visitors alike. The grand design of the exterior and interior is simply amazing. I could have stared at the central dome for many hours, the intricacy for the tiles and gorgeous lines are an architectural delight. A must see if you happen to find yourself in Istanbul one day! Ahh, the joy of jet lag. Having been awake since 4am despite being back in the comfort of my own bed, I couldn't help but think of the photos I captured this week in Istanbul. The first thing I did last night once we got home (as always) was to download my images to my computer, make further backups & import them to Lightroom. Typically I then take a few minutes to scroll through my images to see if I captured any portfolio worthy shots. And what did I see? Nothing. Nada. Crap. How could that be? My wife and I had just spent a week in one of the most beautiful cities on Earth - a UNESCO World Heritage Site at that - and I'm not happy with my photos?! Something isn't adding up. Frustrated, I went downstairs to enjoy a much needed breakfast burrito and thought about my images for a bit. After clearing a bit of the fog from my jet lag, I realized I was experiencing the dreaded "Post-Photography Hangover". I've experienced it before, but this time seemed quite accute. Perhaps it was the fact that I was hungry and had essentially been up for about 24 hours, but I wasn't happy with what I was seeing. Usually this occurs after a long day of shooting, weddings were typically my worst culprits. It sometimes took me a few days after the wedding to get the creative excitement back to start the work on my edits and see the images in fresh light. I'll define this "Hangover" as a loss of creative interpretation or burnout from your own work. Sometimes even though you may have captured some great images, you just can't see their full potential until you sit on them for a few days. I remember two particular events, one a wedding and one a day of wandering around the Pima Air & Space Museum in Tucson, that took me a bit of time to digest. Once I saw the potential both sets turned out some of my favorite shots yet. In fact, one of my favorite things to do is to re-visit images I shot months or even years ago. Sometimes you see potential in images you had previously decided weren't worthy. It is quite interesting the effect that time can have on the creative process! So how do you cure the "Post-Photography Hangover"? Likely no 'cure' exists, but I think the best idea is to give it a few days and clear your head. Step away from the computer, go for a hike or just do something that clears your mind. Give it time and you'll see good results. 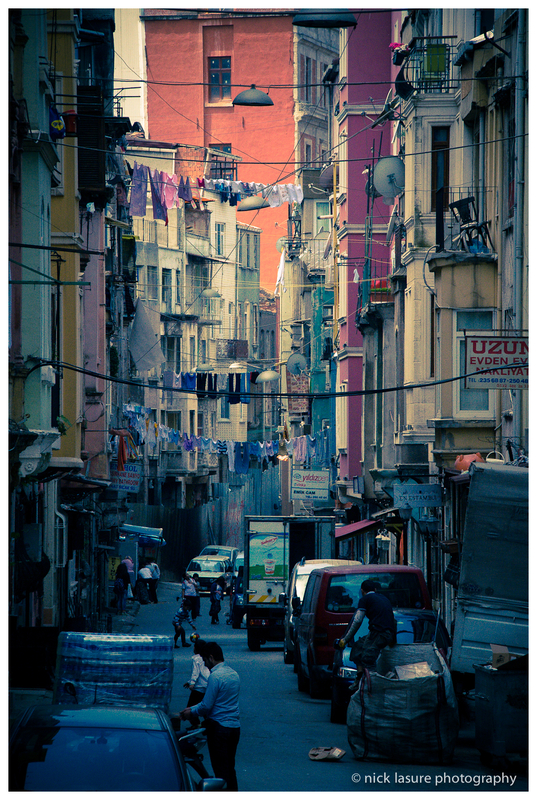 So after having another quick look through my images from Istanbul this morning, the excitement is growing. I happened on the image below and it really stood out to me. It may take a few days or even weeks for me to digest the rest of the images and they may not ultimately produce my best work. That said, it was a wonderful trip and I think I'll muster at least few good shots. Now where is my coffee cup?